This, then, is one of my frequent 'close to zero' minutes meals and it's a house favorite because it also happens to be absolutely delicious. The dressing ingredients are ones I always have on hand and, if I'm having a good Sunday food prep week then I've already made it ahead and have a jar ready in the fridge. If not, it comes together fast. I also usually have salad greens in the fridge. I like romaine best for this salad but almost any greens will work. And yes, that is shredded rotisserie chicken. I tend to pick up one of those chickens on most weeks when I'm grocery shopping. Don't leave it on the bone, though, unless you're eating it that night. Peel off the skin, shred the meat and store it in an air tight container in the fridge for easy access. It's perfect for salads and also quick lunch sandwiches. I warm up some pita bread, another fridge staple for me, and dinner is served. Enjoy! 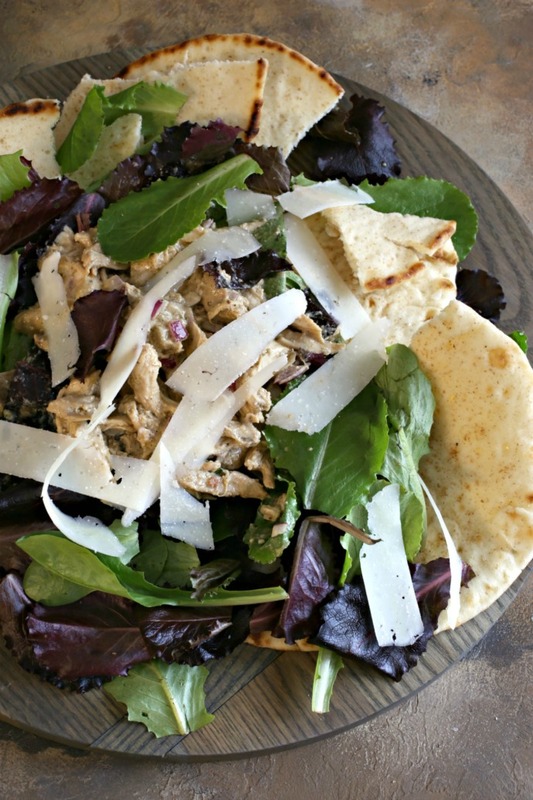 Recipe for a Caesar salad with rotisserie chicken and a tahini based dressing. In a bowl, whisk together all the dressing ingredients. If not serving immediately, store in a lidded jar in the refrigerator for up to 5 days. 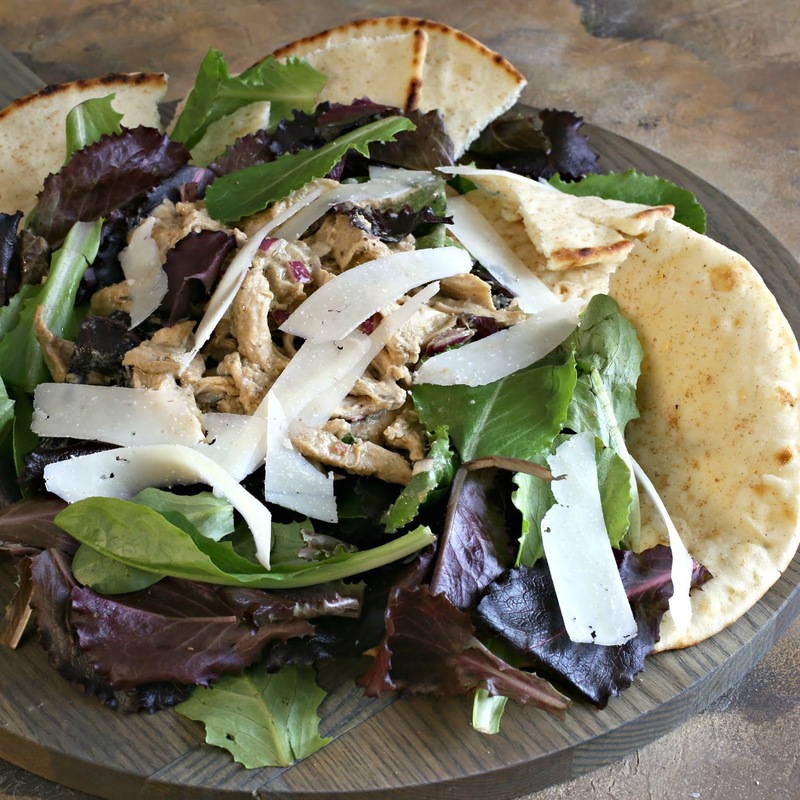 Toss the shredded chicken and lettuce with the dressing and top with shaved Parmesan cheese (use a vegetable peeler). 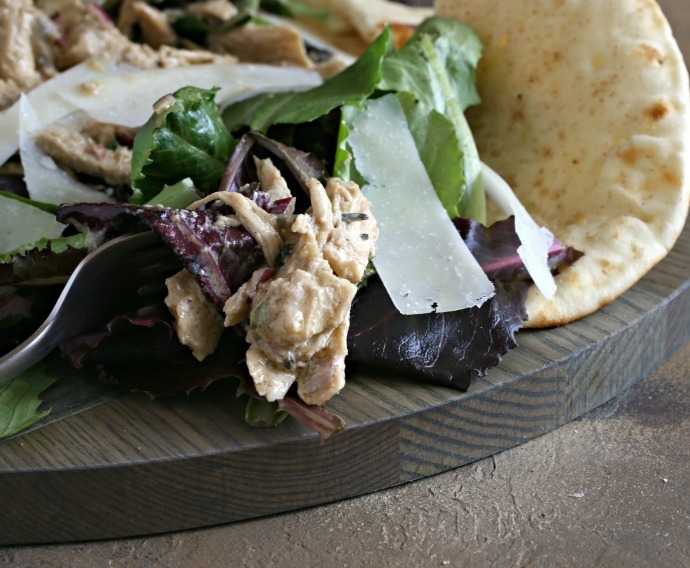 Serve with warmed pita bread.